Sewmotion: Pre-Cut Party Time, and so many HSTs! Before I say anything else, can I just thank all you lovely people out there who took the time to read and join in my first Pre-Cut Linky Party last week. As a new venture, I was a little worried that it would go unnoticed, so when you joined in I was over the moon! As well as some link-ups, you also left some interesting comments (again, thank you) and it does seem that many of us buy these scrumptious looking fabric bundles because they look so cute and pretty, but then put them on a shelf and never use them. Well, hopefully this will be the chance to change this, if we can share as many pre-cut projects and ideas as possible, together with my free monthly patterns (subscribe for free here) we can all bring those beauties off the top shelf or from under the bed, unwrap them and get cutting! To get started this week, I thought I'd share some of the beautiful linkies from last week... who would have thought the humble square could look so good! This week I've been working on a new quilt pattern using my 12pc fat quarter bundle in these bright prints from Red Rooster's Basically Hugs collection. This pattern, which will hopefully also be a kit, uses the ever-versatile half-square triangle. 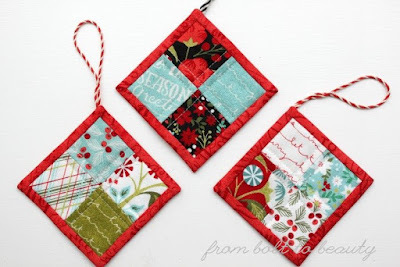 There are so many ways to make these little gems, but my favourite is still the foundation-piecing method, you can read my tutorial and download templates for seven different sizes here. Now it's your turn - grab the button below for your sidebar, and join the party! Don't forget to check out these other great linky parties too - Let's Bee Social, Midweek Makers, and Needle & Thread Thursday. 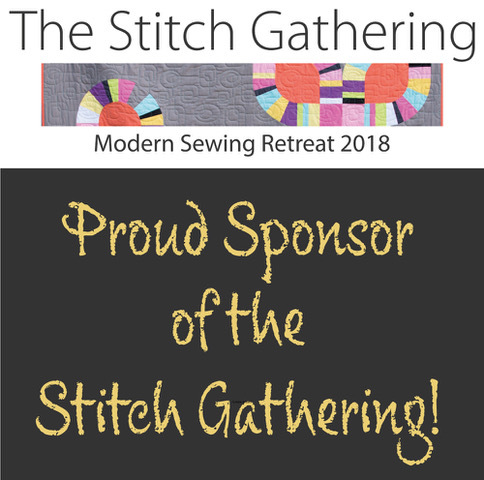 I can't wait to see your latest design become a quilt! I love the colours you chose and your fabrics are luscious! 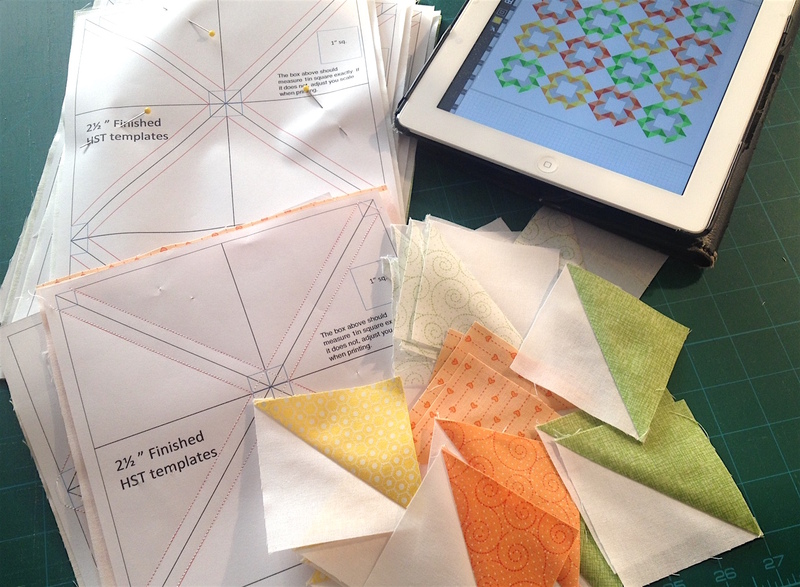 Thanks so much for sharing your HST tutorial and templates. Wishing you to have the most wonderful birthday. Enjoy! I think we all need a little spring colour in our lives at the moment! Thank your for the birthday wishes, I still have no idea where we're going! Love this idea for a linky party. Your new design looks like it will be fantastic. Can't wait to see! Thank you so much Cathy, fingers crossed, I just have to get through all these HSTs!! Thank you Susan, and thanks for hosting! Haven't got one but have slept on one for a coupe of nights - could not get to sleep on it to be honest - made me hot and uncomfortable.